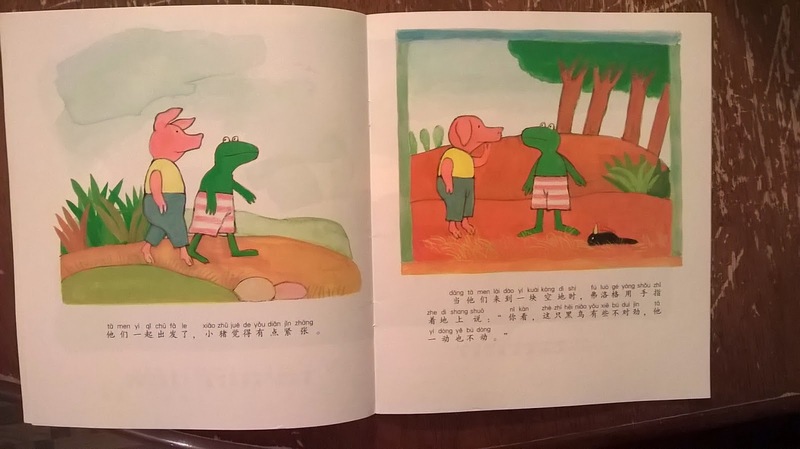 I found another translation of e a book in the the frog picture book series by Max Velthuijis on Amazon. It's called 鸟儿在歌唱：学会珍爱生命 (The bird is singing: learning to treasure life). It was also only $3 with prime shipping. For such a cheap price, free shipping, and good little Chinese picture books it really is a no brainer to buy them. The book we're talking about today is called . 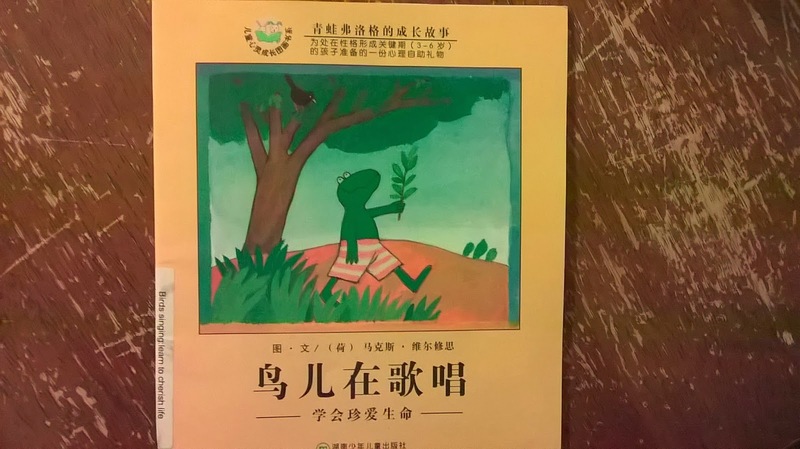 I reviewed another frog book earlier called 特别的日子:学会热爱生活 Special day: learn to love life. 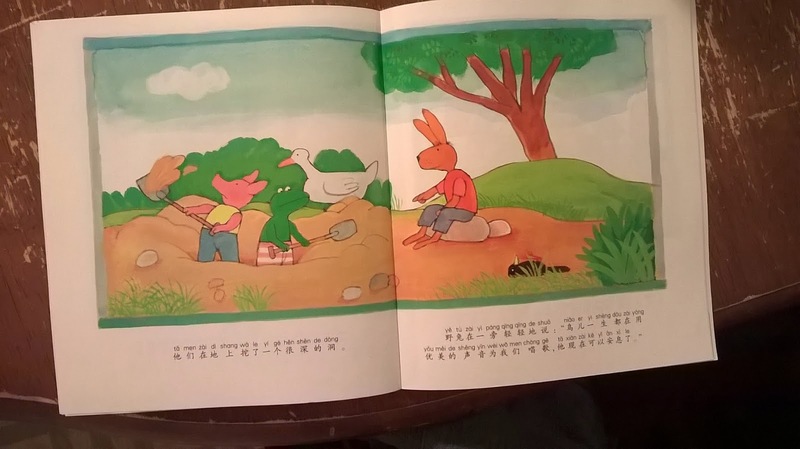 The book is 25 pages and is about the story of how the frog and his friends deal with finding a bird on the ground. At first, they think the bird is sick, but eventually they realize that it's dead. Some are not sure what that means. They decide to bury it, so they go dig a hole. They have some somber and serious moments afterwards as they think about what happened. Then, they start playing again, and they realize how precious life is. At the end of the book, they see another black bird in the trees, singing. I like these books because the story flows pretty quickly and keeps my kids entertained. The words are usually pretty simple, but there are some more advanced characters in there with some pretty imagery. There is pinyin, however, so it's easy to read along regardless. Death is an interesting subject, especially for little kids. I think this book approaches it in a pretty good, matter of fact way. If talking about death at all with your kids scares you, be warned. However, I think it's a good teaching and bonding moment to read a story like this with your kids, even if you don't go into too much details about what it means to die. Again, we highly recommend these books both because the pictures are good, the stories are good, and the price is absolutely right.